The completely redesigned subcompact proves that small economy cars have come a long way. Not so long ago, the cheapest cars sold by manufacturers were, well, cheap. The styling was lackluster, the cabins were cramped, the interior materials were substandard, the rides were rough, options were few, and they were all slow because their sole engines were underpowered. They were basically designed to get you from point A to B, period. Aside from being cheap, their only other virtue was their decent fuel economy, a result of their underpowered engines. Today's entry level cars are a different breed. Yes, they are still small, but the exterior lines are meant to please, the cabins have a lot more head and shoulder room, the interior materials include better fabrics and soft plastics, the rides are a lot more civilized, and engines provide at least a little oomph while still returning good mileage. And option packages make them even enjoyable by offering such upgrades as leather interiors and advanced safety systems. 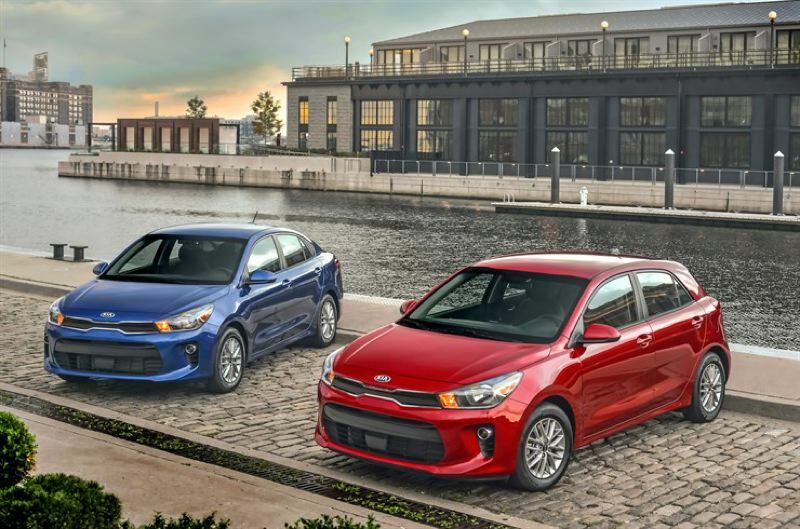 The completely redesigned subcompact 2018 Kia Rio is a case in point. Once among the cheapest of the cheap economy cars, it has been improving over the years and is now a reasonable option for owners looking to save money without making too many sacrifices. Available as either a sedan or five-door hatchback, the Rio is still small on the outside but suprisingly roomy up front. The styling borders on sporty and the ride is both quiet and comfortable, with the suspension easily absorbing most bumps instead of amplifying them into the cabin — even in the hatchback version, the subject of this week's test. Other pluses include the upright infotainment screen and optional leather seats and trim that came with our EX version. 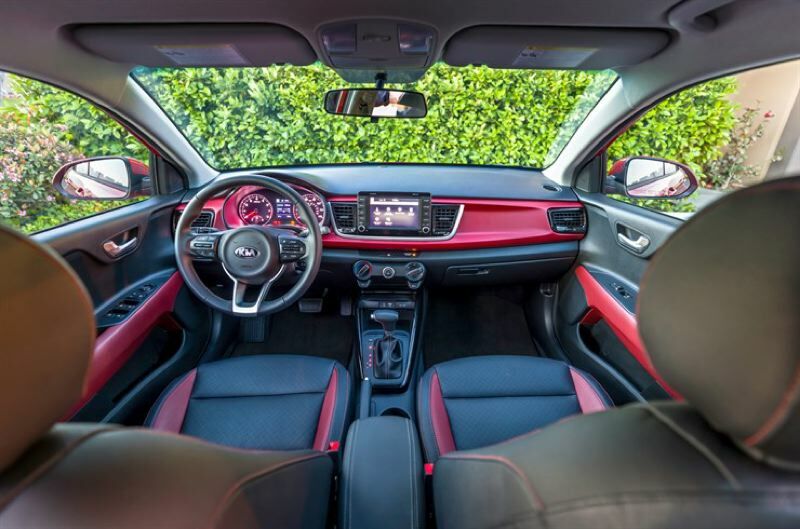 Together, they made the interior look and feel like it belonged in a more expensive car. The 1.6-liter inline four cylinder engine was more of a mixed bag. With only 130 horsepower, it accelerated from dead stops good enough but protested when pressed too hard. The optional six-speed automatic transmission in the Rio was not the best for maximizing its meager power, even when set in th Sport mode or shifted manually. 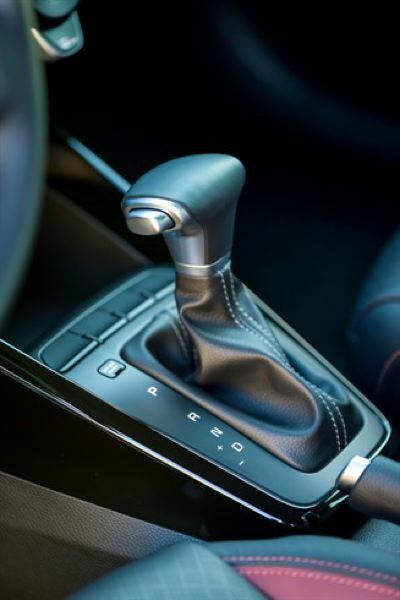 The six-speed manual transmission might be better suited for it, although it's only available in the base trim level. Leg room in the back seat was also limited, a common problem with subcompact cars. It's unlikely that anyone with more a couple of small children in their family would consider it suitable for frequent trips. But the Kia is all about value. It comes in three trim levels, with the base LX sedan starting at just $14,795 and the hatchback version only a little more at $15,095. The S version is the midrange, while our loaded up test EX hatchack came in at $20,225. 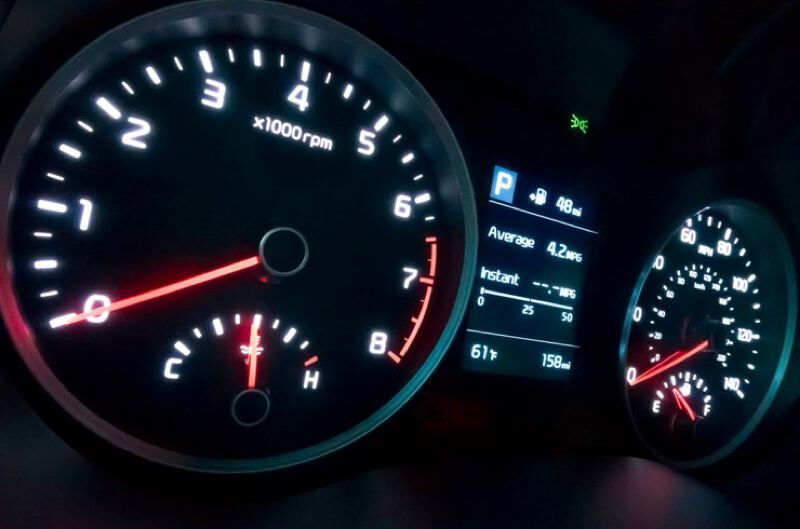 Although that's beginning to push the boundries of "economical," it's still not much for a fuel saving new car with a pleasant ride and some nice features these days.